After graduation, Kirkwood joined the BBC's Secretarial Reserve in London, and after a series of internal moves presented short slots on BBC Radio Scotland. Following this, Carol worked at BBC Radio 2 and BBC Radio 4. She subsequently worked as an Associate Director in recruitment and as training consultant for a management consultancy in Cheshire. 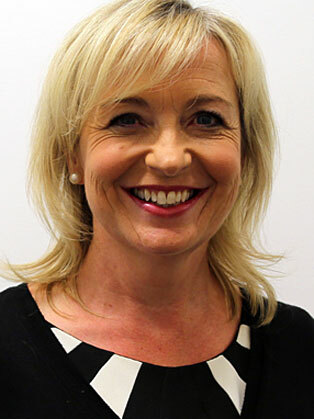 Carol re-joined the BBC at Elstree Studios training department in 1993 as a freelance presenter, during which time she presented a bi-monthly programme ‘Talking Issues’ for ITV West. In 1996, Carol joined the new UK operation of The Weather Channel, which sadly closed down. With her next career destination, Carol underwent training under the guidance of the BBC at the Met Office, before joining BBC News as a weather presenter. She has appeared regularly on BBC One, BBC World News, and the BBC News at Six, and has been the main weather presenter on BBC Breakfast since 2008. Since 2005, Kirkwood has also presented live forecasts as part of the BBC's coverage of the Wimbledon Tennis Championships. Carol has been enormously successful, winning the TRIC award for best TV Weather Presenter in 2003, 2008, 2009 and 2012. Since 2007, Carol has been the presenter of The Weather Show (shown quarterly on BBC News), and is also a regular contributor and reporter for BBC1's ‘The One Show’. Carol has appeared as a guest on CBBC's children's show ‘Hacker Time’. In July 2011, Carol became a co-presenter of BBC One's The Great British Weather. In May of 2013, Carol appeared on the immensely popular BBC One panel show.